Jim Moorehead has joined the Mendocino Coast Photographer Guild and Gallery as an associate member. His work will appear starting First Friday, May 2nd. You are invited to join Jim, his wife Arlene and the rest of us in celebrating his very first show and to explore the large body of work on display at the Coast’s only gallery dedicated strictly to the art of photography. Jim and Arlene are the former owners of the Joshua Grindle Inn in Mendocino, and Jim has devoted much of his retirement time to preparing for his first public show (he whined stated that it is too much like work!). Come on up to the Gallery on Friday, May 2, and check out his work. The guild’s gallery is located in the Company Store in Fort Bragg, at the corner of Main and Redwood. Check out Jim’s Web site or the Guild’s Web site for more examples of his work and the other guild members. 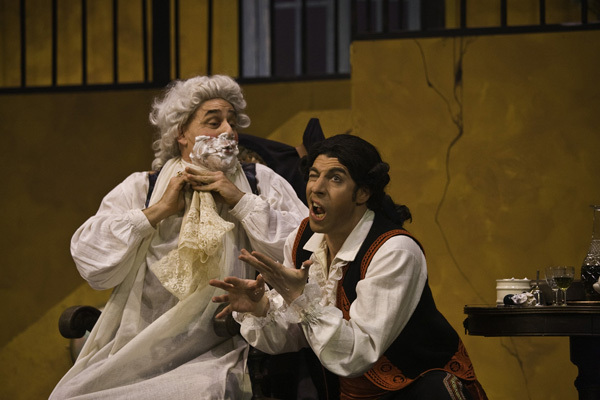 If you like opera, or even come close to liking it, you might want to see Opera Fresca’s latest, Barber of Seville. It is playing at Cotton Auditorium this Wednesday and Saturday at 7:30 PM. The six leads are all up and coming stars from around the world – Venezuela, Spain, New York, etc and super talented. The staging is beautiful and the opera is very funny and approachable – no Wagnerian arias. I had the enjoyment of photographing the two dress rehearsals, then went on Sunday afternoon. I am going again on Saturday. It is amazing to see such talent in little Fort Bragg. (Bring a coat – it is cool in Cotton Auditorium). The attached photo will give you a feel for what you are in for. Here’s a great way to help out this worthy cause and have lots of fun meeting interesting people coming in for the festival. Volunteers are needed for the Film Festival, May 29 – June 1, at venues around Mendocino to help take tickets, make popcorn, usher, etc. We are also looking for specialists who can help as projectionists and venue managers. Volunteers receive a voucher to attend a screening during the festival and are invited to the post-festival volunteer thank you party. Contact: Mendocino Film Festival Volunteer Coordinator, Aimee Hanson, toll free at 877-685-7152 or by email at Aimee@OuiOrganize.com. Mendocino Village has long been the focus of tourism on 70 miles of the Mendocino Coast. Don’t get me wrong, Mendocino is one of a kind. But places like Fort Bragg and points south are coming into their own. 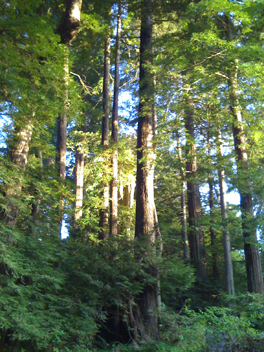 This past weekend, my friend Wild Bill and I took a quick overnight camping trip to Gualala Regional Park, located on the south side of Gualala River, in a grove of redwoods, including a grove with some old growths. Fantastic beaches, walks and a nice little town nearby. I also saw my first sign for $4 per gallon gasoline at the Chevron in Gualala.